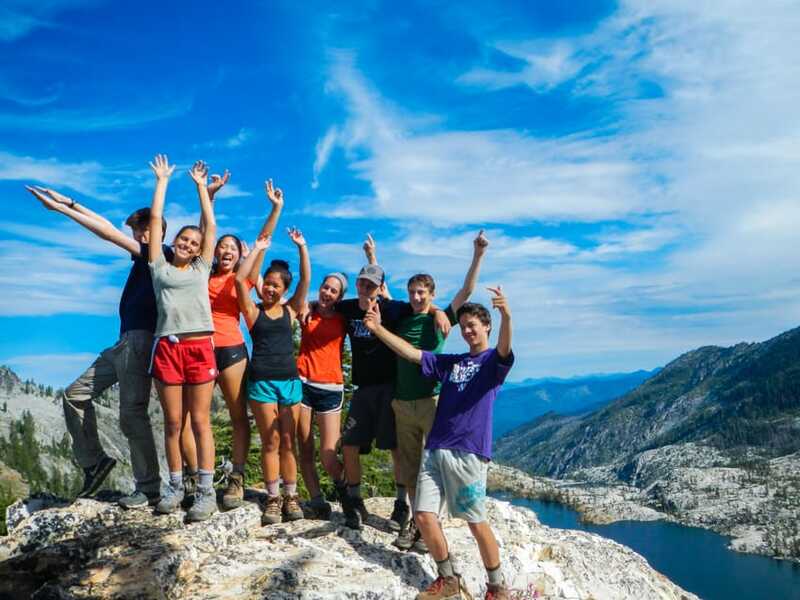 How old do students need to be to attend Adventure Treks? We accept students who are currently in the 7th through 12th grades (ages 13–18) during the 2018–2019 school year. We look at the grade students are finishing before their Adventure Treks trip, not the grade they’re entering after their trip. In other words, the grade students are in as of September 2018. 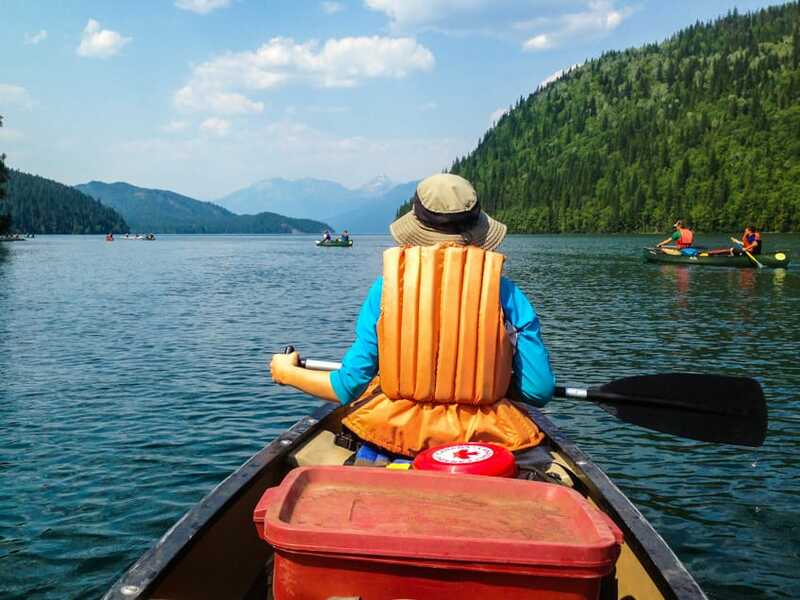 Safety is our number one priority for our outdoor adventures. We make every decision regarding your child as if you were looking over our shoulder, but please understand that nothing is 100% safe. To build independence and ensure normal teenage development, we practice taking reasonable and appropriate risks, while doing everything possible to minimize those risks. Our instructors meet our students at the gate, and we constantly check for flight delays and other travel obstacles on every student’s flight. We make traveling to and from your outdoor adventure as comfortable and stress-free as possible. Can you accommodate food allergies and picky eaters? We can easily accommodate gluten-free students, vegetarians, and many other food allergies, but we are unable to accommodate vegan or kosher diets. Please call us at 828-698-0399 so we can discuss your child’s specific needs. What is included in the price of my child’s trip? Adventure Treks is the only program we know of that provides tents, sleeping bags and pads, backpacks, all cookware, and all technical equipment at no extra cost. You’ll need to bring hiking boots, clothing, and personal items like toiletries, and you can find a detailed packing list online for each of our trips. Airfare is not included in the price. Adventure Treks is very proud of its instructors! Before our trips start, our instructors go through an extensive two-week orientation and training specific to Adventure Treks. All of our instructors are Wilderness First Responders and have previous experience working with young adults in the outdoors. Read more about our instructors here. Can I contact my child during their trip? While we do want our students to experience a relatively technology-free environment, students are able to call home two to three times during the trip. You will be able to follow along with your child’s trip via Treks Checks, a trip-specific blog where we post photo updates every few days! However, we know that urgent situations sometimes arise at home, so our office staff and regional directors are on-call 24/7 during the summer. All of our activities are coed. Sleeping arrangements, of course, are single-gender! What are the other students like? The teenagers who come to Adventure Treks are kind and welcoming and hail from all over the United States and world. We screen our applicants, so our groups are full of positive young adults that will work well with each other. Adventure Treks places a strong emphasis on group dynamics and creating a supportive social environment, and our students reflect that. What if I don’t know anyone else? Most of our students come to Adventure Treks not knowing anyone before their trip. You’ll begin to make friends as soon as you arrive at the airport, and by the time the trip is over, you won’t want to leave your new community! Most of our students remain friends long after their summer ends. That’s OK! Most of our first-time students don’t have experience in most of the activities that we do. Our instructors work closely to teach you the skills that you’ll need. By the end of the trip, you’ll be a pro at setting up camp, cooking in the backcountry, and more! Do we sleep in tents every night? Yes! You’ll be camping in tents during your adventure, and you’ll be surprised at how well you sleep. You’ll be with two other people of the same gender in a four-person tent. When conditions allow, sometimes we sleep under the stars! Will we be able to shower and do laundry? You’ll be able to shower a couple of times throughout the trip. We know this might sound intimidating, but don’t worry! You’ll always be able to wash your hands and face, and many of our students bring travel wipes. We also spend a lot of time around rivers and lakes, where you’ll be able to rinse off. We do laundry once during each trip, but you’ll have enough clothes to last you before and after laundry day. Adventure Treks provides everything you need for the activities on your trip, including a backpack, sleeping bag, sleeping mat, and tent. There are no rental fees for extra equipment, saving you around $500. Each trip has a specific and comprehensive packing list for you to follow. How do I choose a trip? The trips available to you are based on your age, grade, interests, and outdoor experience. Everyone has a variety of trips to choose from. For more information, visit our 2017 Adventures page. I’m nervous about flying alone. Nervousness about flying is completely normal, and we understand that it can be a little uncomfortable, especially if it’s your first time. We can assure you, though, that you are in good hands. Our instructors meet students at their gates, and we constantly check for flight delays and any other travel obstacles to keep you informed on the day you are flying. We make traveling to and from your outdoor adventure program as comfortable and stress-free as possible. At Adventure Treks, our students have the times of their lives—all without the use of their cell phones! We unplug from technology so that we can connect with our natural surroundings and each other and build strong, inclusive, and kind communities. And we promise that you won’t even miss your phone! If you have any other questions, please contact us 828-698-0399! We are happy to hear from you!